This is a home that was playfully titled the “Autistic Tiny-Home” by its owner, a 19 yr old Autistic girl by the name of Sarah! 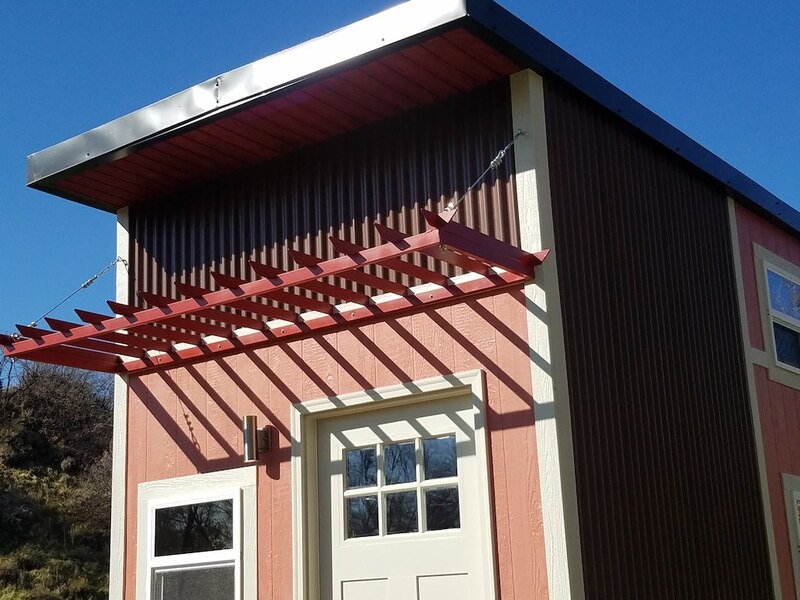 We worked very closely with Sarah, her family and her teachers during the design and build of her tiny home. Special attention was given to things like, visual and tactile stimuli, safety, simplicity of design and operation on a day to day basis. Sarah wanted the bulk of the home to be in various shades of pink, while mom was a little more conservative re the exterior of the home, since it is parked right next door to Sarah’s parents home. Sarah’s needs, wants and concerns, quite frankly, were just about the same as most teenage girls. 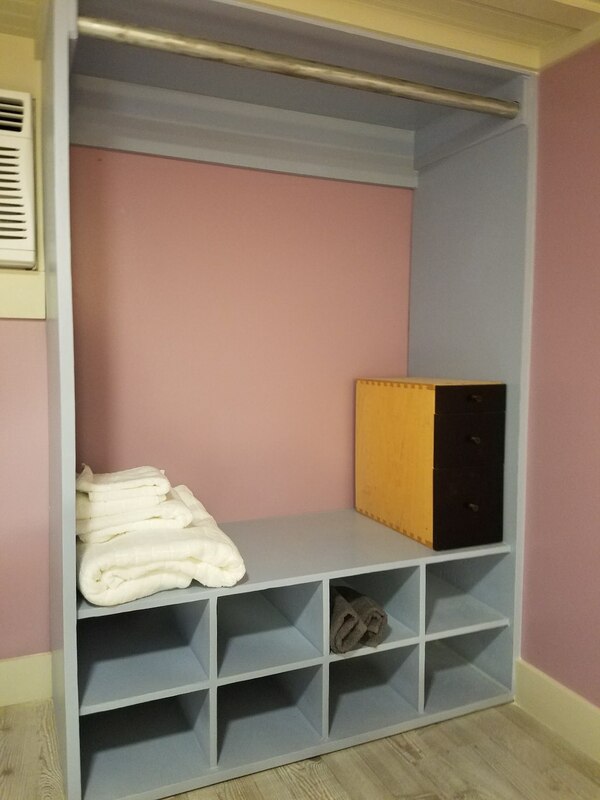 She wanted ample storage for clothing and stuffed animals, a place for friends to come and hang-out and a place that she could call her own. 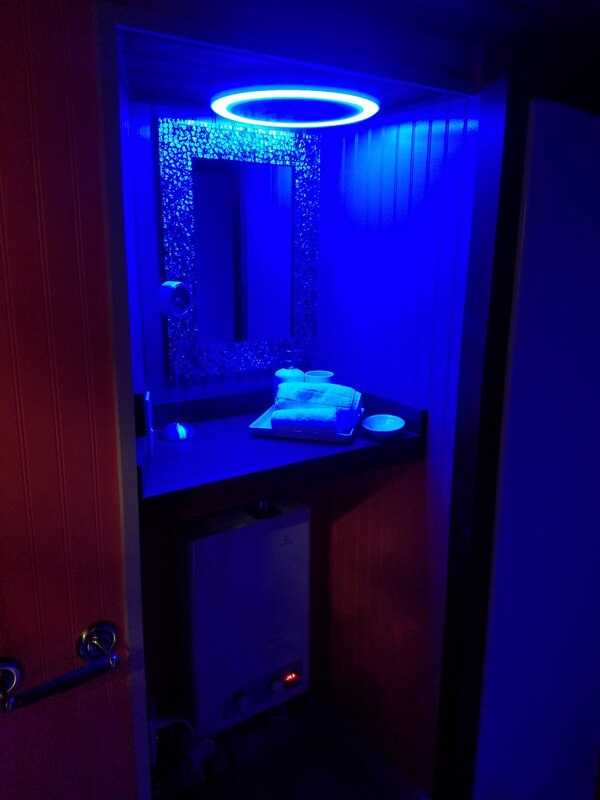 Young adults with autism are faced with some unique challenges and tiny homes can offer them and their families some options that haven’t necessarily been available to them in the past. 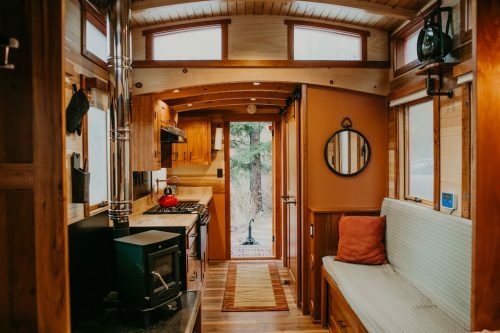 Owning a tiny home can provide them with a sense of autonomy and a safe living environment that is uniquely their own! A colorful tiny house on wheels built by Maximus Extreme in Ogden, Utah. This is why tiny houses are equal opportunity shelters. They represent the best of humanity. They can support a much more varied population of incomes, abilities and differences. They are not just ivory towers available to a limited demographic and income. 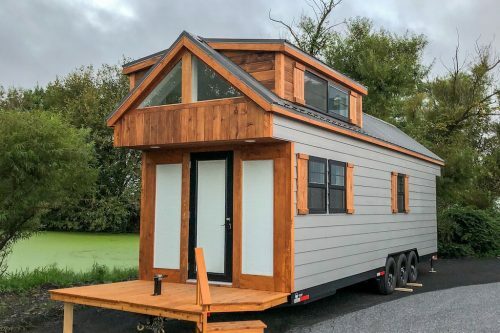 Yes, we need to make feature rich tiny houses available to those who want more features but we also need to keep tiny houses simple and affordable to those just looking for the basics. 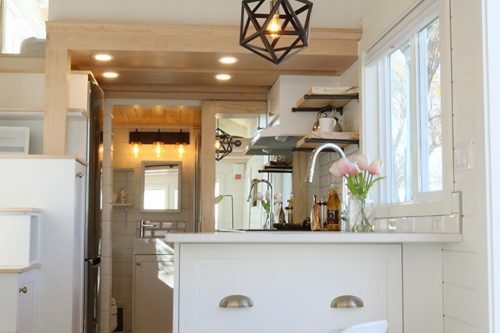 The more differences in the population tiny houses can accommodate, the better. 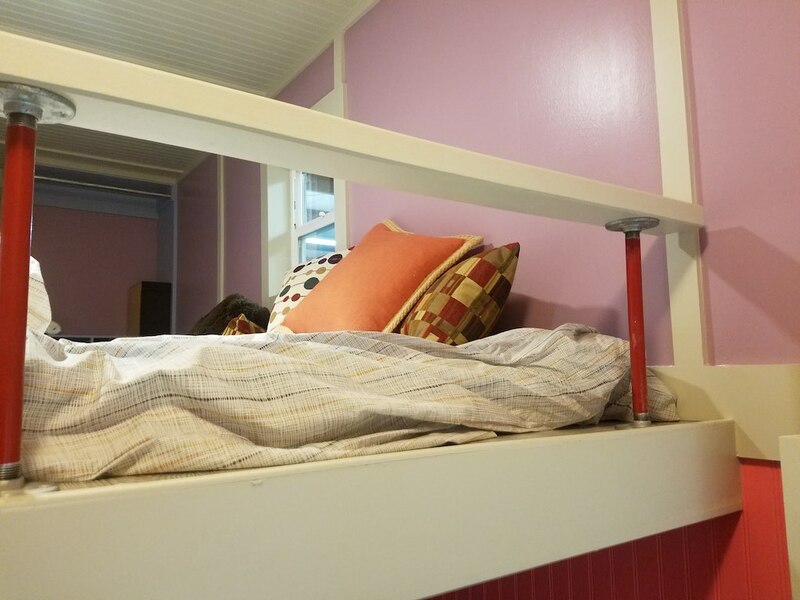 One of the best parts of the tiny house lifestyle- personalization. Looks like a great place for Sarah to feel independent- good for her parents! Pretty sweet, and pretty, and sweet. Calming warm interior, love the stairway. I know you’ll have wonderful times there! Love the stairs! She probably feels safe going up those stairs – many stairs in tiny homes I’ve seen, since I have balance issues, I would be afraid to climb. Since these are enclosed, they would be perfect! That color of pink is very soothing to people with ASD or any anxiety-related issues. Kudos to her parents for having such an independent daughter with enough life skills to live in this wonderful little house! I have a 17 -YO son and am looking into solutions, too, as he gets older. 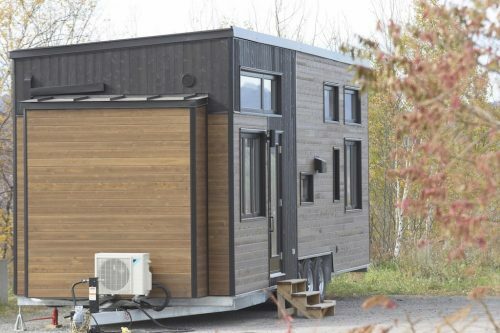 Thank you for including this Tiny Home! I’m often critical about some of these, but I actually like this one. It appears to function as it’s designed. 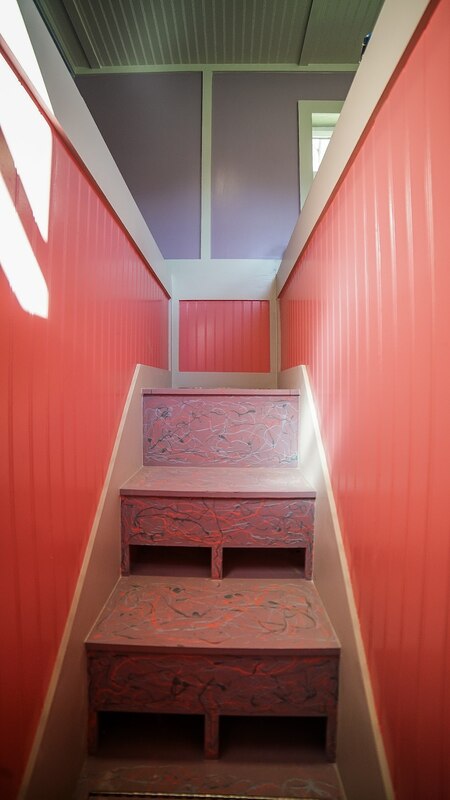 I like the sentered loft, with the useful (and safe) steps leading up to it. I love this…how fun!! And wait (gasp!!) is that REAL clothing storage?? ?